This NON-FLEX option cannot be amended or cancelled. As you arrive at the barrier please wait whilst your registration is recognised. A ticket will be automatically produced. Take the ticket and proceed into the car park. (If a ticket is not issued, press the help button for assistance. Do NOT press for a ticket.) Simply park your car and take your keys with you. The terminal building is a short walk away. On leaving the car park insert your ticket into the exit barrier. The barrier will recognise the booking and lift automatically. By choosing a Park Mark Safer Parking facility you are visiting a car park that has been vetted by the Police and has measures in place in order to create a safer environment for both you and your vehicle. cheap parking is open all year round and manned 24/7. They operate Automatic Number Plate Recognition, have CCTV throughout. This car park (formerly known as ipark) is located within the airport boundary, a short walking distance away from the terminal building. It offers great value for money and can only be booked online. You park your own car and keep your keys with you! Safe, Secure & Convenient. 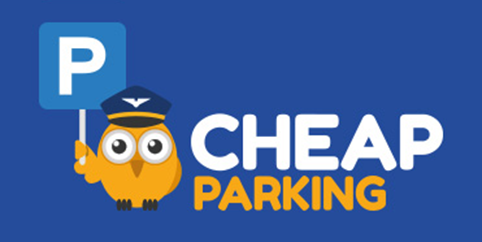 Cheap parking is a pre-bookable car park only and cannot be used by pay on foot customers. Please note, this product cannot be amended, changed or cancelled under any circumstances. Disabled parking spaces are located at the front of the car parks (Long Stay, Premium, and Multi-Storey), they are subject to availability. If the customer has a blue badge but does not have it to display they go to the parking kiosk at the multi storey car park and fill in a blue badge form with a member of staff. No disabled spaces available in cheap parking but there are spaces available at the front of the Long Stay, Multi Storey and Premium car parks but they are subject to availability.